What executives and directors should know about strategic foresight. Strategic Foresight is the study of the future, a discipline for predicting the unknown tomorrow. Yet arguably, nobody and no reliable science exists that can predict the future! Strategists create high level plans to achieve goals under extreme uncertainty, while ‘foresighters’ are planners who use scanned inputs, forecasts, alternative futures exploration, analysis, and feedback to produce or alter plans and actions of a firm. Both try to anticipate the right moves and decisions to improve the outcome of their businesses and create competitive advantages. Digitalization takes a wrecking ball to conventional industry boundaries." The call for strategic foresight is becoming louder than ever as digitalization takes a wrecking ball to conventional industry boundaries. Business owners, executives and managers want to anticipate what tomorrow will bring, firstly to make sense of it, secondly to know what to do and how to adapt their strategies and finally to remain competitive in global markets – today and in the near future. Along this line of thought, companies have two alternatives. The first is to forge strategies that somehow take advantage of the momentum; the second is to brace for impact by falling back on protective strategies such as cutting costs and downsizing. Unfortunately, in the recent economic crisis many companies opted for the latter approach, which is detrimental to economic growth and renewal. Leaders and shareholders decided on staying afloat, protecting their turf and surviving the disaster; little weight was put on renewal, innovation and creating new business as a way to capture the wave and ride it to one’s advantage. However, even these adaptive strategies impose limits on how the future is perceived and restrict the freedom of strategic movement; they demarcate the boundaries of the playing field and dictate the rules of the game. In the end, to master the wave, even the surfer needs to bow to its power and adapt their line accordingly. No matter how we look at change, adapting to it imposes many limits. Independent of the chosen strategy, the wave is treated as a given. Too often, we perceive the future as something given; something we are too small to change; something we must adapt to." However, it does not have to be that way. What if we ourselves could create the wave; or at least shape it to our liking? What if we had the means to design what the future will look like? After all, the future, as we know it in present times, is not yet defined in any form. “When it comes to the unpredictable future, there are three types of managers: those who let it happen, those who make it happen and those who wonder what happened. Too often, we perceive the future as something given; something we are too small to change; something we must adapt to,” highlights Antti-Jussi Tahvanainen. In conclusion, the shift from adaptation to creation requires a strict switch in mindset. The ripples of our decisions today have the potential to turn into the mavericks of tomorrow. Breaking our self-imposed limitations plays an important role in shaping what is to come. For that, managers need to practise and prepare in order to conquer or even create the tsunamis of the future. “You see things; you say ‘Why’? But I dream things that never were; and I say, ‘Why not’?” George B. Shaw’s epigram captures the essence of what strategic foresight is at its best: foreseeing a desirable future one can create. The likes of Uber, Airbnb, Google, Tesla, Facebook and Alibaba – once small startups – have lived out Shaw’s philosophy to the fullest. They did not gaze into the future to simply dodge bullets. Instead, they envisioned the future they wanted – and made it happen. 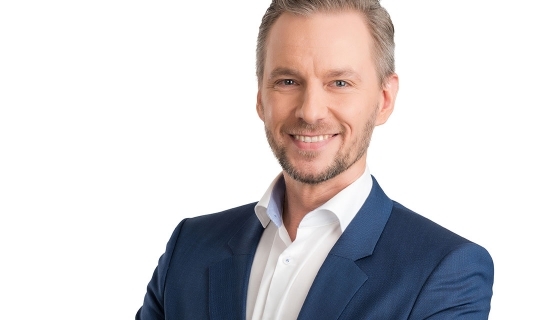 Antti-Jussi Tahvanainen is an instructor at Aalto EE's Strategic Foresight program which is a comprehensive introduction to the approaches and tools of industry foresight, and how these link to the management decision-making process to create strategic advantage. Read more about the program.